Languishing at the bottom of points table, former champions Aizawl FC will hope for a change of fortune when they host favourites Quess East Bengal (QEB) in a Hero I-League match here on Saturday. Both teams go into the game after losing their last match against current leaders Chennai City FC by an identical 1-2 margin at their respective home grounds. The loss saw East Bengal slip to fourth position after three games, while Aizawl, who had a much tougher start, managed just two points from their first five games to be placed at the 11th spot without a win to their name so far. It does look like a mountain to climb for coach Gift Raikhan's home team, given their strikers are not scoring and three of the five goals they have scored so far have come from setpieces. Liberian striker Ansumanah Kromah did manage to get a field goal to his name in the last game but returns clearly need to be much better. Two players that Raikhan will surely look to play are Kyrgyzstani midfielder Bektur Talgat and Nigerian centre-back Kareem Nurain. Bektur so far has looked the most enterprising among all Aizawl midfielders and deserves more game time. Kareem, on the other hand, not only brings a lot of solidity in defence but also has a history of scoring goals. His absence in the last game due to injury made Aizawl all the more fallible. "We are yet to win a match. We need that badly. Once we achieve it, I am sure we'll gain more confidence for the upcoming matches. 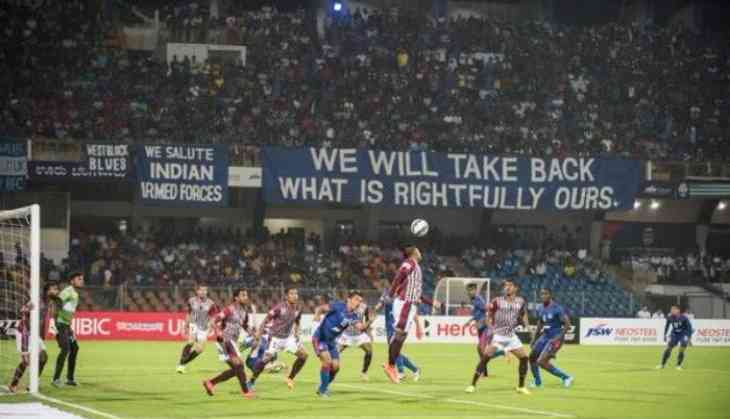 We'll attack against East Bengal," said Raikhan. "But while attacking, we shouldn't make any mistake in defence. We committed one and Chennai punished us. That's one area where we should be more careful tomorrow." For the visitors, they will need to put the last game behind them and refocus. Their main problem has been their midfield failing to take control and Syrian midfield general Mahmoud Al Amna's absence due to injury is surely being felt by their Spanish coach Alejandro Menendez. QEB's strikers Jobby Justin and Mexican Enrique Esqueda have scored five goals between them but coach Menendez might take the opportunity to test out Bali Gagandeep in this game. Gagandeep, who played a key role in Minerva's title win last season, is yet to get a game. Coach Menendez said, "We are worried about Aizawl's high-intensity game. Their energy level is very high and we have to be apt to get a win against them. "After the last match, we have to get back to the winning ways sooner than later and tomorrow we'll try our level best to get that win. "Aizawl haven't been able to get a win so far but that doesn't mean that they are going to be an easy opponent. We have seen their last match and we know how challenging this match is going to be. Ace Of Space: After Shilpa Shinde, Vikas Gupta attacked by Bigg Boss 11 contestant Arshi Khan for this shocking reason!